Published: Aug 2018 i Previous editions(s) can be found in the Related Items tab. 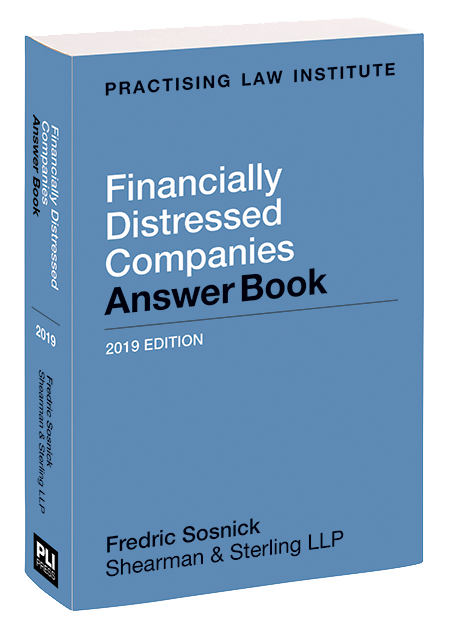 Financially Distressed Companies Answer Book provides a broad overview of topics relating to financially distressed companies. It is intended to be an easy reference with respect to issues for the management of a company finding itself in financial distress, a vendor or other creditor trying to manage its exposure or understand a bankruptcy process, or a nonbankruptcy lawyer needing a description of the legal concepts relevant to distressed companies.